Oooh. Sounds like a book that is *right* up my alley (so to speak) so thanks for the heads-up. I have seen it reviewed elsewhere positively so yours, added to the rest, definitely tips the title higher up the TBR pile. I love social history like this one so thanks for the review. It's a fascinating book so I hope you enjoy it. This sounds very appealing - I do like this type of social history where the individual stories come through. I agree, hearing the individual stories in their own words is wonderful. I read some raves about this a few months ago and ordered a copy right away -- which is naturally sitting on the TBR shelf. 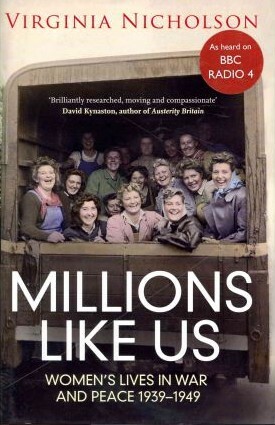 I'm watching The Land Girls series from the BBC so I think it will inspire me to read some more WWII books. I also have Few Eggs and No Oranges from Persephone and Nella Last's War. I've heard great things about both of them. Karen, I'd had this on the tbr shelves for over a year but I'm so glad I picked it up. 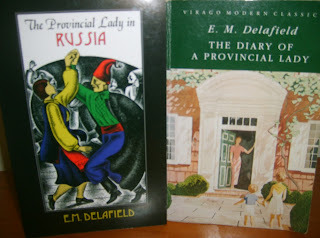 It was just as good as VN's earlier books, wonderful social history. Few Eggs & Nella Last are also excellent, some of my favourite books about WWII.